In celebration of the new year, I offered 52 baby steps you could take towards healthy living in 2016 – one for each week. This year I’d like to share my best grocery tips. 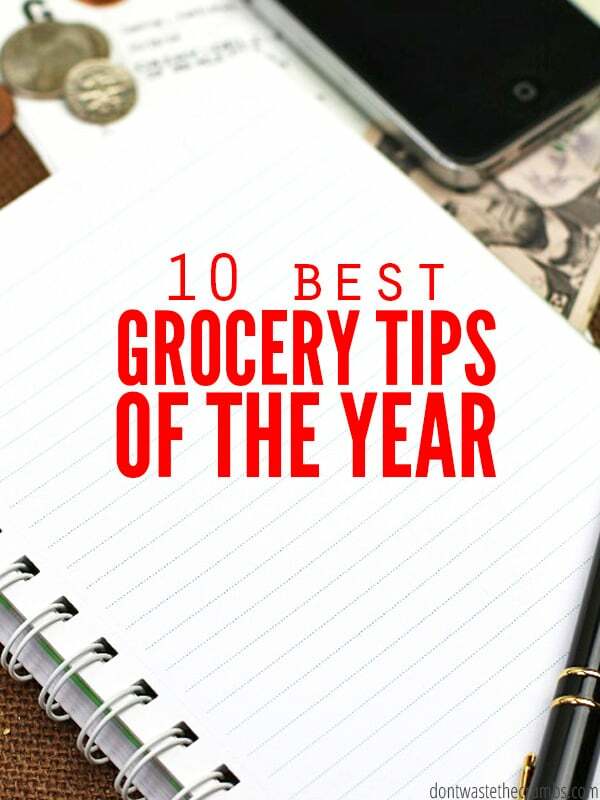 Granted, I share ways to reduce grocery spending pretty often (this is a FRUGAL real food blog, after all), but today’s post is a compilation of my very BEST grocery tips over this past year. It’s so easy to get overwhelmed when it comes to planning real food meals. And to keep it within a budget? It’s mind boggling. Trust me, I learned the hard way when we cut our monthly expenses by 50%! That’s why I suggest starting slow at first and taking baby steps. Consider each one of the ideas below a baby step, and make it a goal to implement just one a month and by the end of the year I PROMISE you’ll have made a big dent in your grocery budget. How do I know? Because these are all tried-and-true. 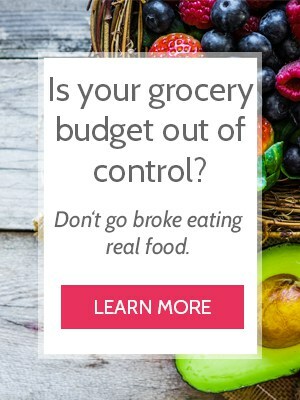 They’re the very same ideas that I use to keep my budget at $300/month and inspired me to create an 8-week course dedicated to teaching you step-by-step how to save money grocery shopping! You knew I had to start with the grocery budget! If you don’t have a grocery budget to start with, how do you think you could apply the other tips? Creating a frugal grocery budget is the most crucial part of saving money on real food, and that’s why it’s earned the top spot among my best grocery tips. It’s not the easiest thing to talk about with your family, but if you have goals you want to achieve for financial freedom, then this is one place to start. This doesn’t sound like it would make much difference in your grocery budget, but you’ll be surprised! Those little pieces of paper don’t lie folks. Keeping your receipts shows you where your money went. You will see whether you spent your money on quality meat or processed foods. 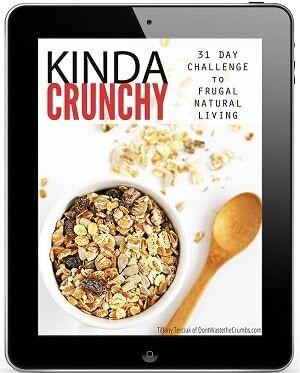 It will also help you to determine your grocery budget and how much you should spend on food. Also use your receipts to make a price book. A price book helps you get better deals on the items you buy most often without having to memorize it all. One of the easier ways to stick to the grocery budget is by sticking to your shopping list. And in order to have a shopping list, you need a meal plan. There is a learning curve to meal planning if you are just starting out. It took me quite a while to figure out how to make a meal plan that works. But now it’s second nature. 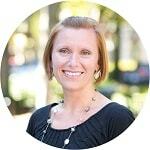 Beyond meal planning on your own, you can use many of the free meal plans I’ve shared. 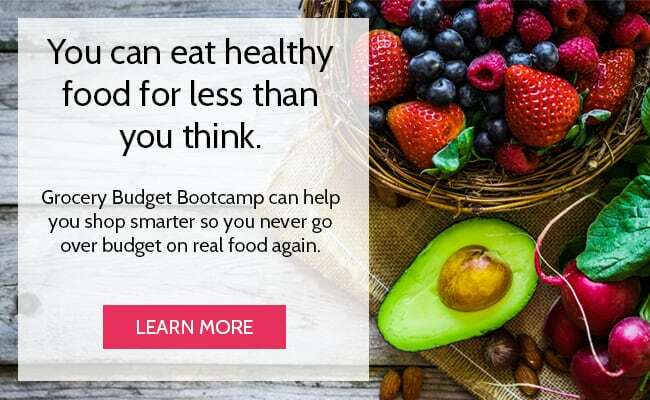 Or go farther and have the meals planned, shopping lists made, and prep lists laid out for you with Frugal Real Food Meal Plans. The simplest way to shop is to pull into the local grocery store, find the items on your list, check out, and go home. However, you are probably missing out on some big savings! And every little bit counts when you are on a tight budget. 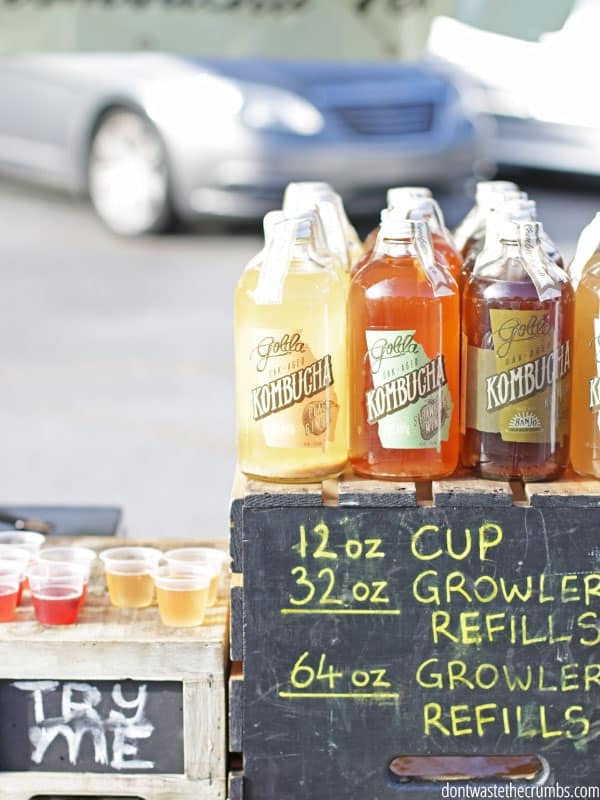 Farmer’s Markets are a wonderful place to buy seasonal produce and get good prices on local food. But knowing how to shop takes a little planning. I complied the Ultimate Guide to Shopping at the Farmer’s Market on a Budget to help you navigate the stalls and get the best deals. Using your price book or checking circulars to know what is on sale at local stores gives you a good base to know if the farmers market prices are a fair deal. Asking for seconds or “ugly” food for a discount can help save a few dollars. Finding a community-supported agriculture (CSA) at a farm near you (or that drops off at your farmers market) can be a really great way to keep your spending on local produce in check. You’ll have to do a little research to make sure it’s worth it for your family. Have you started making a recipe only to realize half way through that you’ve run out of a vital ingredient? I hope I’m not alone. 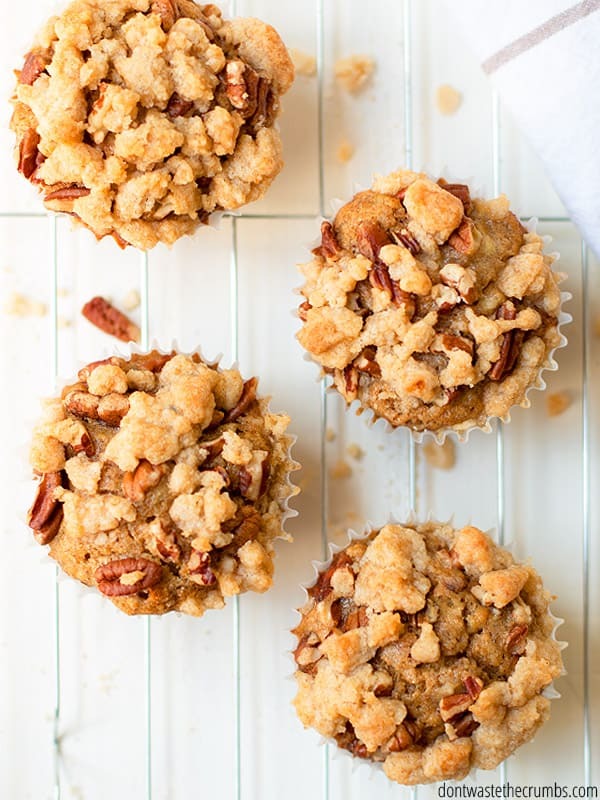 Having a list of food substitutions nearby when you are meal planning (or when you forget something or run out of an ingredient) is so helpful. If it’s possible to have a 6-way tie with first place in best grocery tips, this would be there because time and time again, substituting spices, flours, and butter have saved not only my dinners, but cash too. Also if you use a CSA like I mentioned above, you can plan on substituting some of your staple vegetables for the seasonal items you received. There are a lot of foods you can make at home from scratch that aren’t labor intensive. Once you get over the mental hurdle, you’ll see how easy it is (and see the savings add up!). 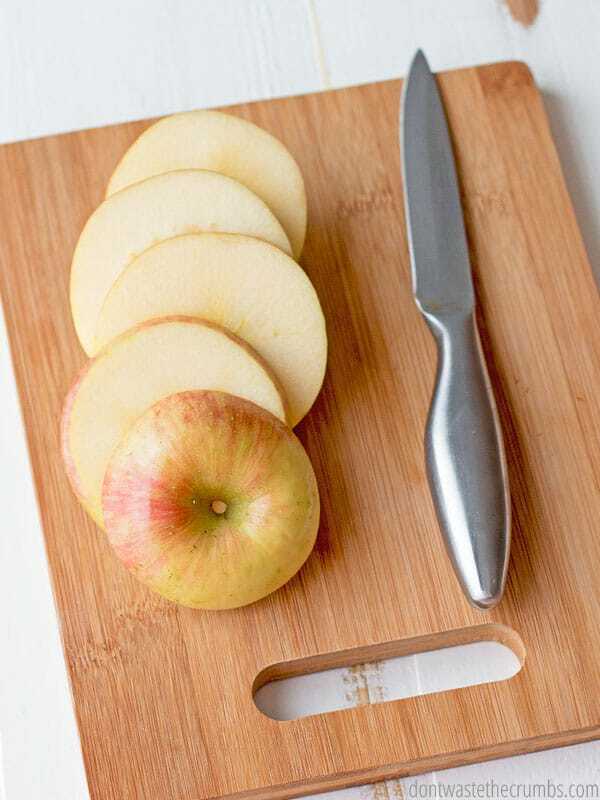 Homemade Chicken Stock and Apple Cider Vinegar are a couple of my favorite items to make from scratch, and here’s 8 foods you can make for free and 2 more for less than $1. Bonus – many only take a few minutes to put together. You can’t pass up easy free food. And if it’s something you use all the time, you’re definitely coming out on top! 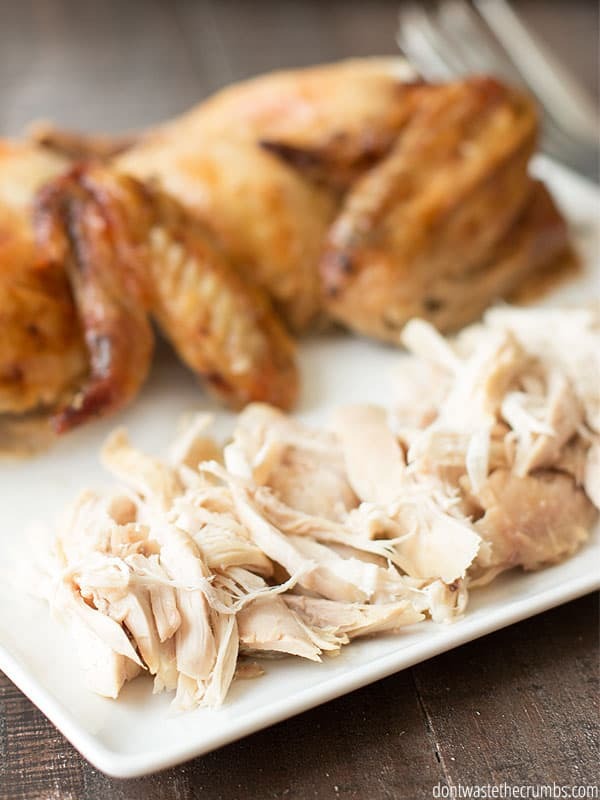 Quality protein is one of the biggest expenses in a grocery budget, so it’s important to stretch it whenever possible to make each dollar go as far as it can. Learning to make multiple meals from two whole chickens (and then making chicken stock from the bones! ), de-gassing beans and cooking them from scratch, and saving money on cheese are just a few ways to stretch the protein budget. 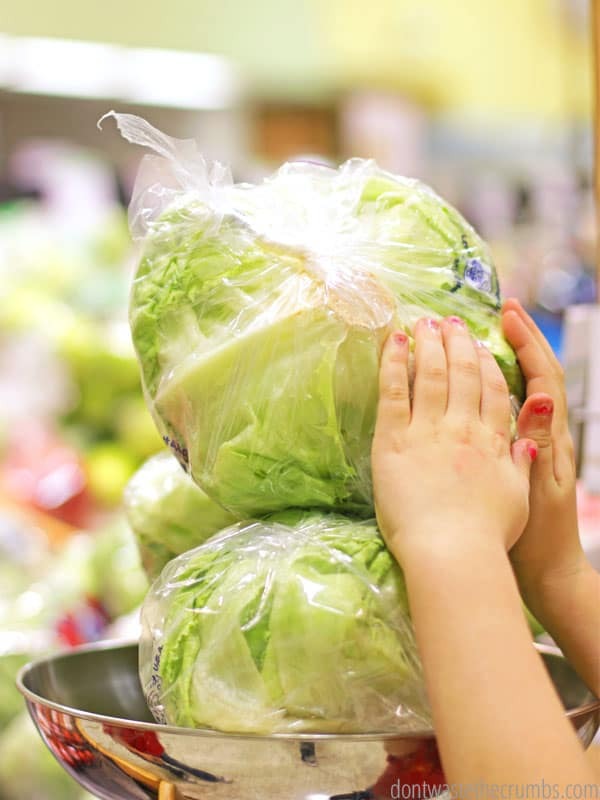 Most families end up throwing away nearly 40% of all the food they buy. That’s a lot of food and money being wasted! Limiting yourself to only one trash bag a week will make you think twice about what you throw away. There is so much you can do with the items you would normally just toss. This goes hand in hand with making free food. Keeping your real food eating on a budget means making a lot of foods from scratch. This can sometimes be a difficult task when the schedule is packed and the little ones have high demands. You have to ask yourself what is best to make from scratch. Evaluating your food in terms of time helps you determine which foods are really worth the extra time to make from scratch versus buying healthy options from the store. Because we honestly can’t do it all. Remember the first grocery budget tip I shared? Baby steps. Every step you take toward healthier eating and a leaner budget will bring you closer to your goals. Grocery budgeting doesn’t come naturally, but the more you practice it the easier it will become. From personal experience I can tell you, it’s totally worth it when you stick to it! 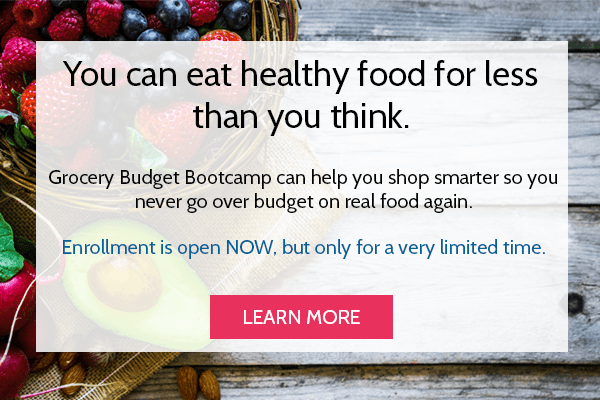 For an in-depth look at how to connect all of these steps into one smooth system, check out Grocery Budget Bootcamp. 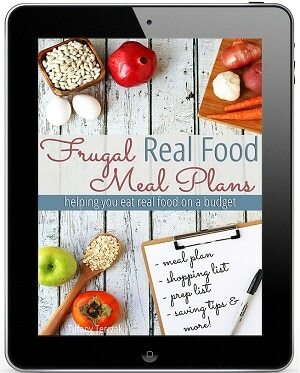 An 8-week course on how to make the most of your budget and feed your family real food. The strategies I teach in this course are the ones I use everyday to keep my grocery budget at $330 a month! What are your best grocery tips for the year? A big one for me is to check my receipt before I leave the store parking lot. Lots of times sales prices don’t work at checkout and I’m charged full price. Food Lion has great sales prices and I almost always shop the sales only and stock up on those deals when I can. When I stopped using coupons and bought less processed foods, my grocery bill went down drastically! $20 worth of real food = no tax, $20 worth of processed food actually is over $21 because of tax. I evaluate how well i did buying real food by looking at my receipt $70 worth of groceries and 60 cent worth of tax, That’s a good shop! It is really great. It is about time for me to start saving on grocery.